Partially deaf due to a childhood illness, Gerald Shea is no stranger to the search for communicative grace and clarity. In this eloquent and thoroughly researched book, he uncovers the centuries-long struggle of the Deaf to be taught in sign language-the only language that renders them complete, fully communicative human beings. Shea explores the history of the deeply biased attitudes toward the Deaf in Europe and America, which illogically forced them to be taught in a language they could neither hear nor speak. As even A.G. Bell, a fervent oralist, admitted, sign language is the quickest method of reaching the mind of a deaf child. Shea's research exposes a persistent but misguided determination among hearing educators to teach the Deaf orally, making the very faculty they lacked the principal instrument of their instruction. 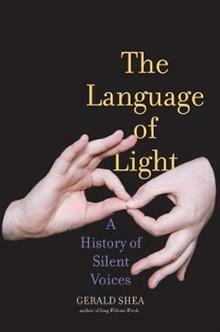 To forbid their education in sign language-the language of light -is to deny the Deaf their human rights, he concludes. Gerald Shea practiced corporate and international law for many years as a member of the New York and Paris bars. He is author of Song Without Words: Discovering My Deafness Halfway Through Life, a prize-winning memoir of his life with partial deafness. He divides his time between Paris and the North Shore of Massachusetts.